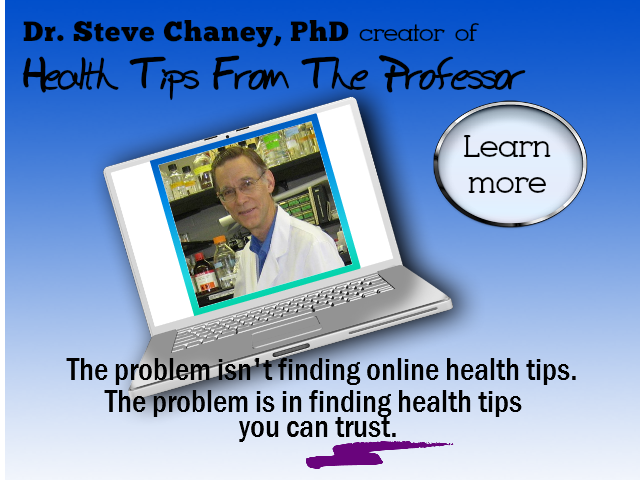 “Health Tips from the Professor” is dedicated to providing busy professionals with cutting edge health information in a way that is both scientifically accurate and understandable. Our goal is to keep you abreast of the latest developments in health, nutrition and fitness. We will cut through the sensational headlines and hype to let you know what information you can trust, and we will provide you with this information in a straight-forward manner so that you can apply it to your personal health goals.